Yuukai Rhapsody follows a man who is stuck in a rut, no personal life and no cash lead him to the drastic decision of kidnapping a rich boy, unbeknownst to him the boy's father is a yakuza boss! 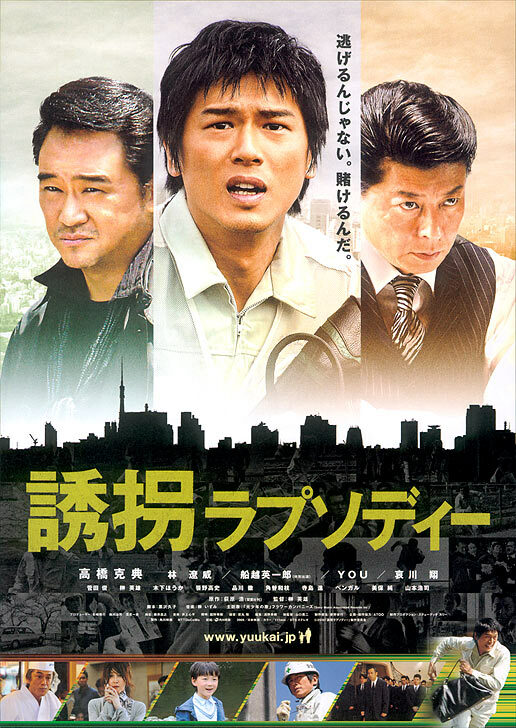 With the yakuza and the police hot on his tail he is forced to take the boy and go on the run, somehow during the journey kidnapper and kidnappee begin to develop a friendship with one another. Based on novel "Yukai Rhapsody" by Hiroshi Ogiwara (published October 1, 2001 by Tankobon). Release date for "Yuukai Rhapsody" was delayed from its initial December release date due to the recent suspended sentence of Manabu Oshio on drug possession charges. Manabu Oshio's scenes will be re-shot without his involvement. Yuukai.jp - Yuukai Rhapsody's website, November 17th, 2009.